Read on to discover best practices from Medtronic Diabetes for how to get the most out of user-generated content. 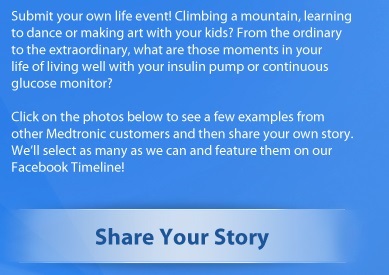 The Share Your Story app prompts users to like the Medtronic Diabetes Facebook page before sharing. Since launching in June 2012, the Share Your Story Facebook app has generated a 2-to-1 ROI for their entire social media program via sales traceable from Facebook. Nearly 300 customers have shared stories and photos using the app. Over 80% of users have opted to allow their photos and stories to be used by Medtronic Diabetes in other ways. Medtronic Diabetes does not use professional models. Their policy is only to use customers in marketing or product photos. So when they launched their Facebook page in April 2012, they featured a customer in their banner photo. Medtronic Diabetes’ first Facebook banner photo, featuring a customer. “We had a huge ‘aha’ moment as soon as we launched,” said Amanda Sheldon, director of digital marketing and communications for Medtronic Diabetes. 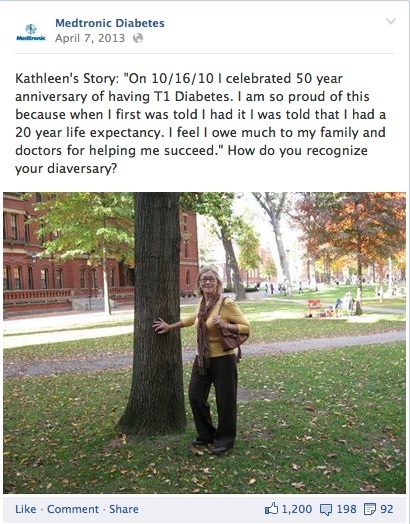 As soon as the page launched, people spontaneously shared their diabetes stories. 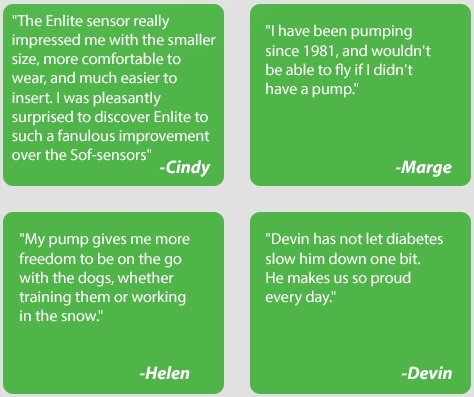 Some of the stories Medtronic Diabetes fans shared after the page launch. The company soon realized they wanted a Facebook app. They worked with Likeable Media to develop the Share Your Story app. Medtronic Diabetes has a presence on Facebook, Twitter and YouTube, as well as a blog. Each is used in a different way. They started The Loop blog in 2011 as an owned channel to foster discussion about living with diabetes. They also post news about the company and its products. Next they launched their Twitter and YouTube channels. They use Twitter for news and for fielding customer-service issues. “Twitter is for the in-time engagement, helping people out in that moment,” said Sheldon. The company also uses Twitter to stay engaged with a community of diabetes influencers and bloggers. 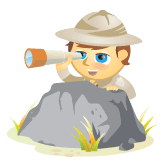 They use YouTube mostly for product information/testimonials and customer-service tips. But Facebook is where most of their customers are. “There are a lot more people with diabetes using Facebook than are using Twitter,” said Sheldon. So it made sense for them to solicit user stories and photos via a Facebook app. 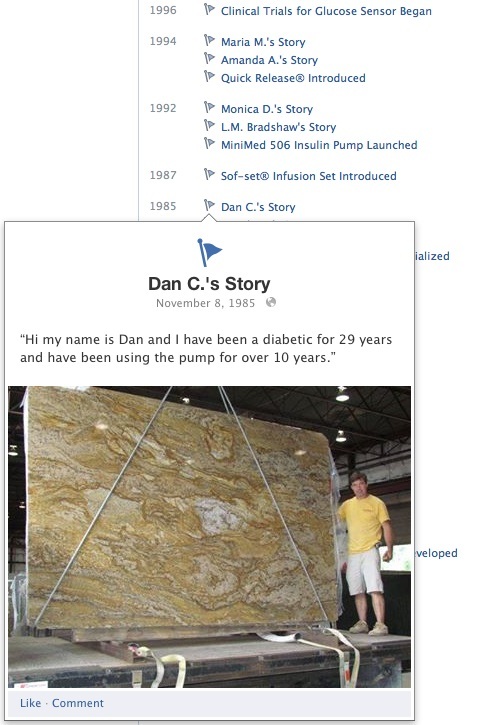 Facebook came out with the timeline concept just as Medtronic Diabetes was getting their page up. Sheldon thought it would be a great idea to have their customers’ milestones be part of their timeline. 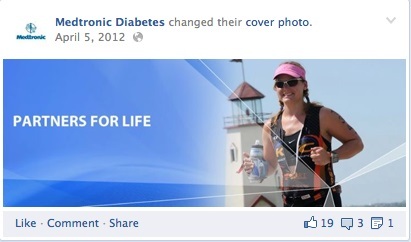 Medtronic Diabetes inserted customer milestones in their Facebook timeline. The app prompts users for a “Diabetes Life Event Date,” and uses that date to place the story in the Medtronic timeline. The community manager also shares the stories as posts on the Facebook page. Medtronic shares stories posted to the app on their Facebook page. 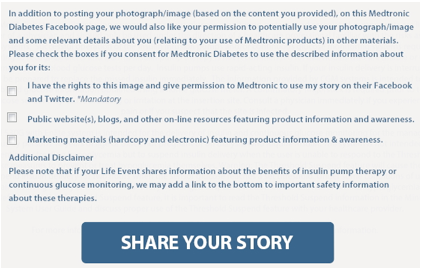 Medtronic Diabetes gives users of the Share Your Story app an opt-in form with three levels of permission for using their stories. 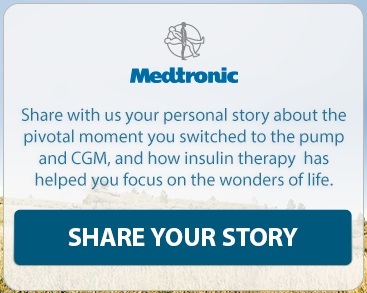 Medtronic Diabetes opt-in language when people use the Share Your Story app. Since people are sharing health care information, Medtronic wanted to be very specific in getting permission for how it is used. Approximately 80% of customers sharing via the Share Your Story app have opted to let their photos and stories be used outside of Facebook. But Medtronic is also proactive about contacting customers who have shared to do photo shoots, video testimonials and guest blogging. Steve, a Facebook community member, posted a photo from his 2012 wedding using the app. Medtronic then followed up asking if he’d like to guest post on The Loop. The result was Getting Hitched With Diabetes: The Groom’s Perspective, which they reposted on the Facebook page. Medtronic reached out to a community member to guest blog after he posted a photo using the Share Your Story app. 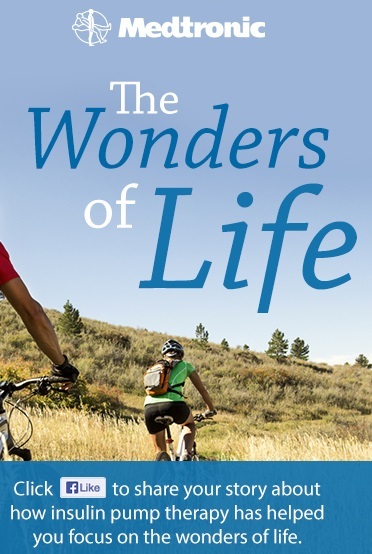 Medtronic periodically prompts its Facebook community with reasons to post their stories. Holidays, back-to-school season, wedding season, etc., are all opportunities. And sometimes no reason at all is required, as a post from February 2014 shows. 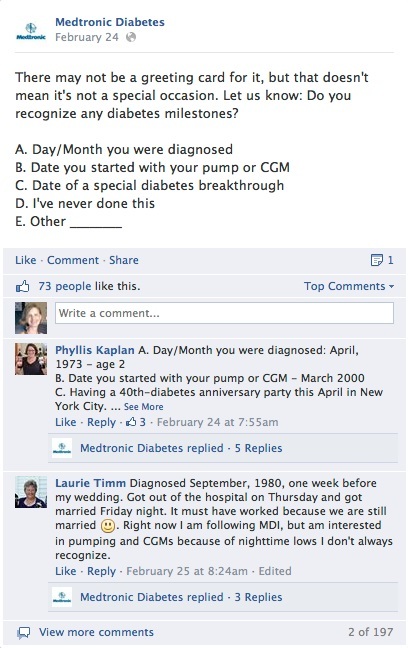 Nearly 200 people responded to this prompt on the Medtronic Diabetes Facebook page. Original prompt wording from the Share Your Story app. Sheldon found that while some people wrote a lot, many people would contribute only one or two lines. They wanted to refine the wording in the app to prompt users to give more detail and bring their story to life. In March 2014, Medtronic worked with Likeable to reskin the app and update the wording. Updated prompt wording from the Share Your Story app. Examples of photos and excerpts from stories that have already been shared give users an idea of what they can write. Photos submitted via the Share Your Story app that appear on the app cover. 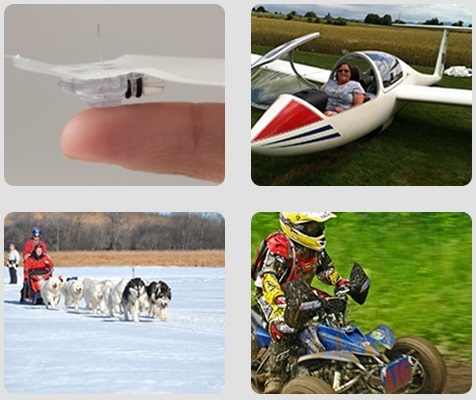 Excerpts from the stories accompanying the above photos that appear as rollovers. Her favorite stories are ones that result in community members learning from and supporting each other. 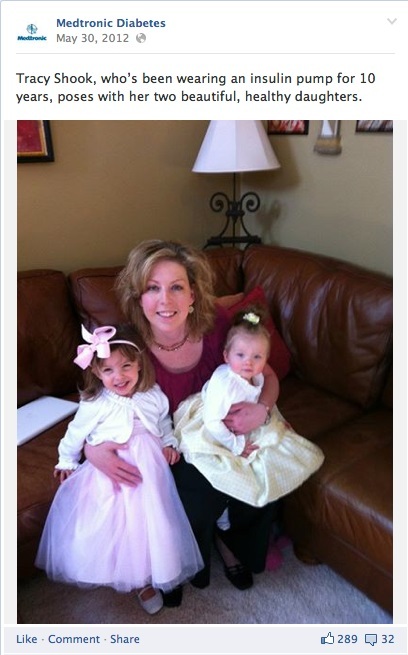 Medtronic posted about a woman who shared about her two successful pregnancies using an insulin pump. A commenter noted that she was worried about having children while using a pump. The woman who had shared her photo responded to reassure her that it was definitely possible. Medtronic posted this story from a woman who shared to the Facebook app. The original sharer responds to a comment to the Facebook post..
What do you think? Are you soliciting user-generated content? How can you encourage your customers to share photos and stories? Include your comments and questions below.